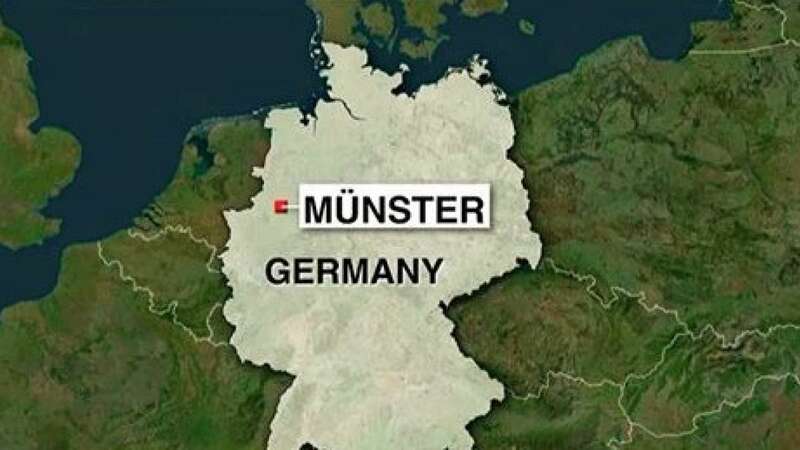 New Delhi : A man driving a van plowed into a crowd in the northern German city of Munster on Saturday, killing at least three people and injuring dozens before shooting himself, a senior German security official said. German security officials were unsure whether the incident had connections to terrorism. The senior security official said that police were conducting response measures as though it were a terrorist attack, but that they remained uncertain about whether it was one, the Washington Post reported. "There are dead and injured. Please avoid the area," the North Rhine-Westphalia regional police wrote on their official Twitter account. "We are on site." The police told people to avoid the city centre. Images of the city centre surfacing on social media showed a small delivery van that appeared to have hopped onto a sidewalk off the street and plowed through the seats and tables of an outdoor cafe. Chairs were scattered and broken across a small cobblestone plaza.